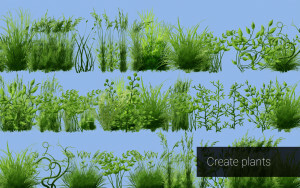 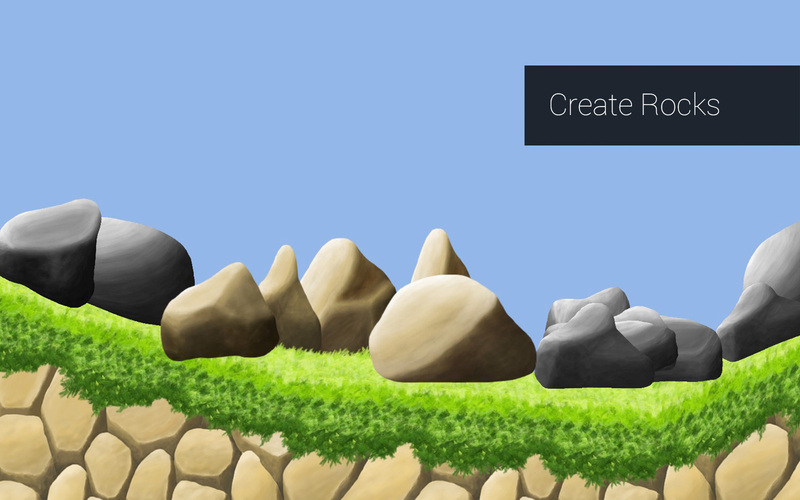 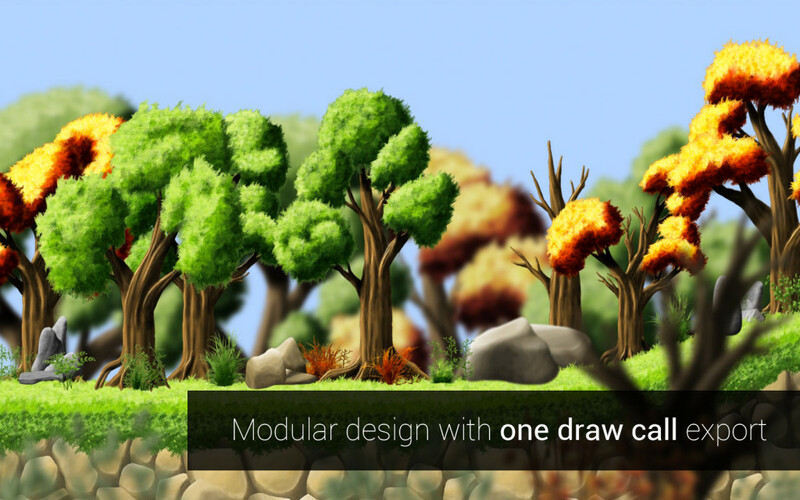 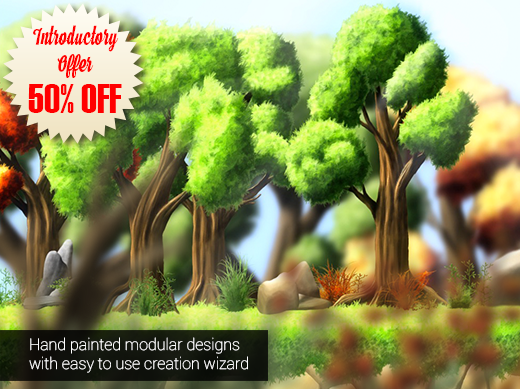 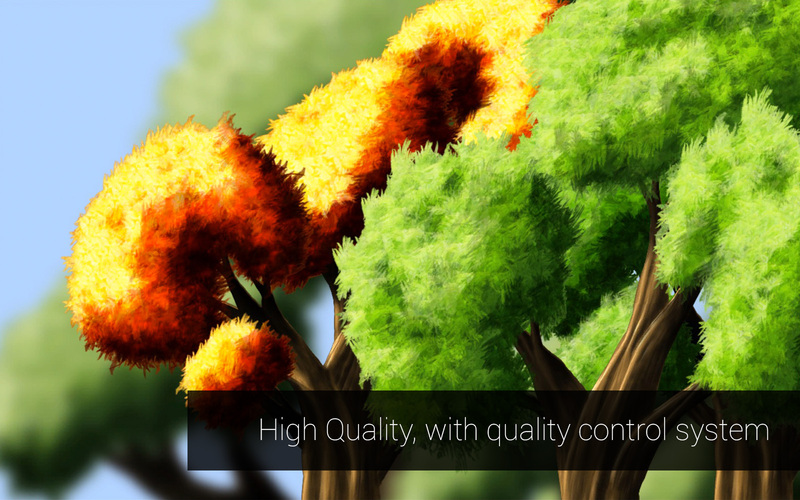 Easily create custom 2D forest, simple and easy to use, you can create randomly designed trees, plants and rocks. 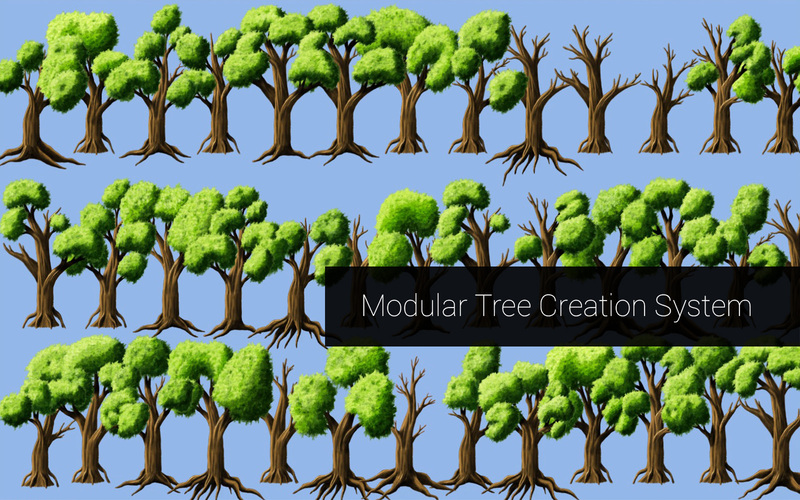 Each element has been carefully designed to fit perfectly with each other using a modular system. 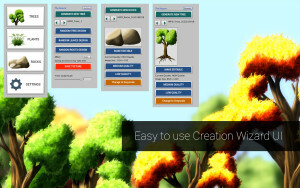 After a design has been finalised, you can easily export the texture with just a single click and your design will require just ONE DRAW CALL for your unique design.